If you value an enriched and enjoyable retirement, this is where you should live! To view, scroll down and choose the location that suits you best and allow us to demonstrate superior retirement living the Regency way. In classic Frank Lloyd Wright “Prairie Style” architecture and terraced into the hillside overlooking Swan Lake Valley, Parkwood offers spectacular views along with quiet and peaceful creekside living. 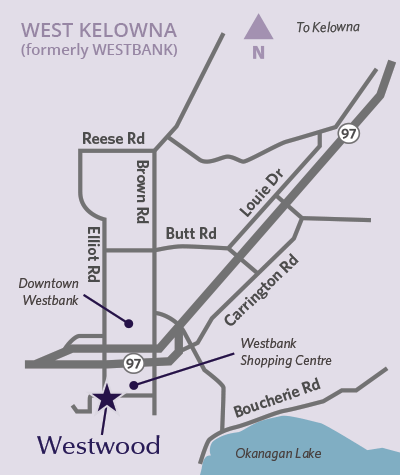 Shopping and services are also close by in this convenient North Vernon location. A refined “Traditional Craftsman” style architectural beauty set in a peaceful and serene creekside setting in the Glenmore area of north Kelowna. In addition to our extensive amenities, we offer a wide selection of bright and spacious one and two bedroom suites many with spectacular valley and garden views and outdoor balconies. 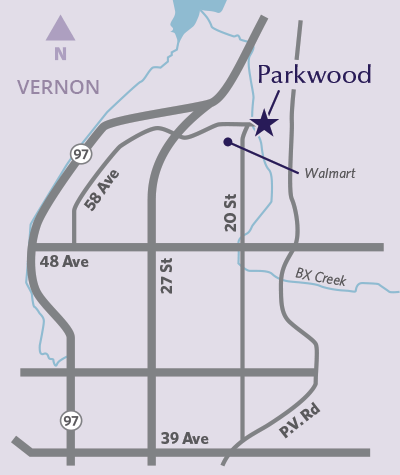 A classic “Frank Lloyd Wright – Prairie-Style” architectural design, Northwood is conveniently set on the periphery of vibrant downtown Kelowna and offers all the shops, services and charm of the city at your doorstep. 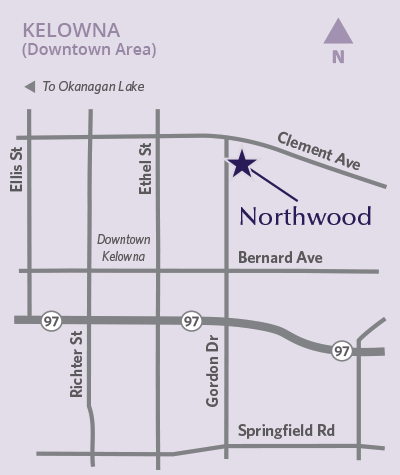 Northwood is just a few minutes drive to the central shopping core, regional library, hospital and the many churches in the area. 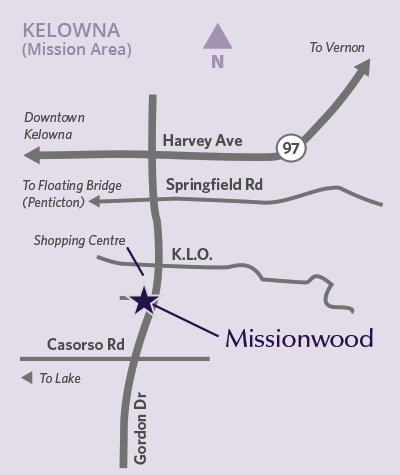 A distinctive “Spanish Revival” architectural theme, Missionwood is set in the desirable Mission area of Kelowna. 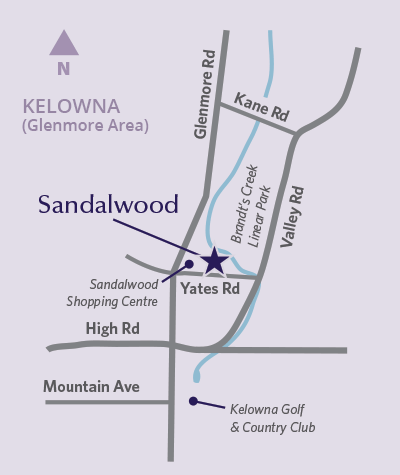 In addition to our extensive amenities, we offer a wide selection of bright and spacious one and two bedroom suites most with spectacular Okanagan views and outdoor balconies. A unique “Post Modern” architectural gem set in the heart of friendly and relaxed downtown West Kelowna. In addition to our extensive amenities, we offer a wide selection of bright and spacious one and two bedroom suites most with spectacular Okanagan views and outdoor balconies. 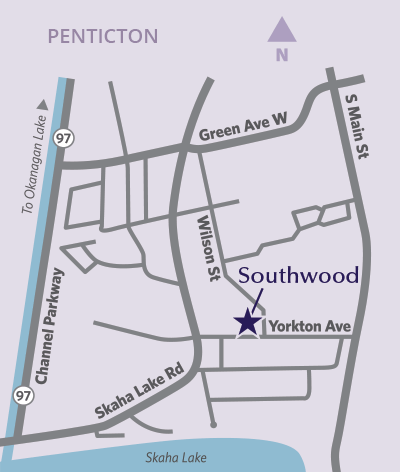 Southwood is a classic “Art Deco” style architectural beauty blending nicely with the surrounding neighbourhood. 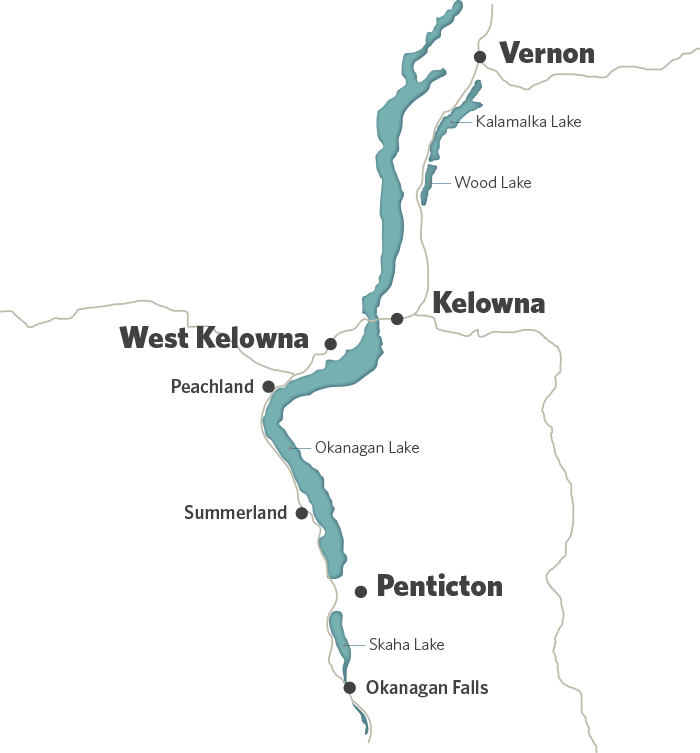 The parks and beaches of scenic Skaha Lake are a short walk away. In addition to our extensive amenities, we offer a wide selection of bright one and two bedroom suites, many with spectacular valley, garden and lake views.